The grand success party of Dr. MSG’s latest flick, Jattu Engineer, was held at ‘The Lalit’, New Delhi. This comedy drama has grossed approximately 291 crores at domestic box office in a span of just 19 days. 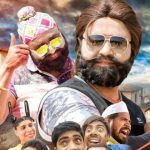 Directed by father-daughter duo, Dr. MSG and Honeypreet Insan, Jattu Engineer is being enjoyed by audiences of all age groups across the country as well as overseas. 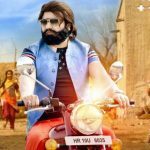 The success party was flagged off with a unique cow milk party, first conceived by Dr. MSG and initiated during the premiere of the movie held on 17th May, 2017. Jattu Engineer is making waves on the silver screens in India as well as abroad. On the verge of entering 300 crore club, it is still running houseful even after 19 days in many northern parts of the country. Another unique campaign was initiated during this mega event. Dr. MSG has been supporting the cause of declaring cow as our national animal and return it’s status as the Mother, that it is regarded in our nation and a signature campaign was initiated & signed by all the prominent leaders and dignitaries, gracing the event. The success party was attended by celebrities from Bollywood and various other prominent leaders & distinguished guests. The dignitaries present included actor, singer & BJP chairman Manoj Tiwari, Kailash Vijayvargiya amongst many others. 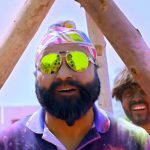 Apart from the fun and comic ride that Jattu Engineer promises, some wonderful messages of cleanliness, and self-sufficiency of villages are imparted through this wonderful medium. Jattu Engineer has been quite effective in changing mindsets of masses regarding cleanliness, especially in villages and quite a few Panchayat are already taking up the model of self-sustainability shown in the movie. Given its popularity and the applause that it’s garnering everywhere, Jattu Engineer looks all set to enter 500 crore club soon. Press Release by Hakikat Entertainment Pvt. Ltd.